Walt Disney World is filled with hidden gems, if you take some time to go off the beaten track you can find those hidden gems and discover something about Disney and maybe even rediscover yourself or your family. For my families 2013 Spring Break trip this year, we decided to have a quick 1 night stay at Disney's Hilton Head Resort in Hilton Head Island, South Carolina. 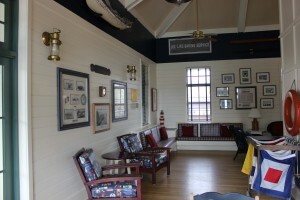 Yes, it is not in Walt Disney World itself, but it is a Disney Vacation Club Resort and it is important to sometimes visit the Disney Magic that exists off site. Is there such a thing? I mean really Disney magic offsite - kind of sounds impossible - well trust me it exists if you know where to look! 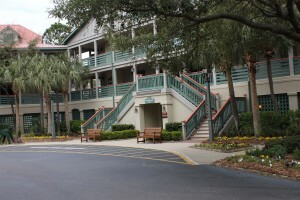 We have stayed at most of the Disney Vacation Club properties in Walt Disney World and many of the hotels on property. I had been reluctant to stay at Disney's Vero Beach or Hilton Head Resort because I felt it would be a lot of cost for little Disney fun. Let's keep it real, Disney is NOT a discount hotel stay. You are staying in a Disney resort and with that comes the Disney quality and a certain level of expectations. For the record we are Disney Vacation Club members and when I refer to cost I mean use of my annual point allotment and I am referring to the opportunity cost of staying in one of Disney's offsite resorts versus onsite. 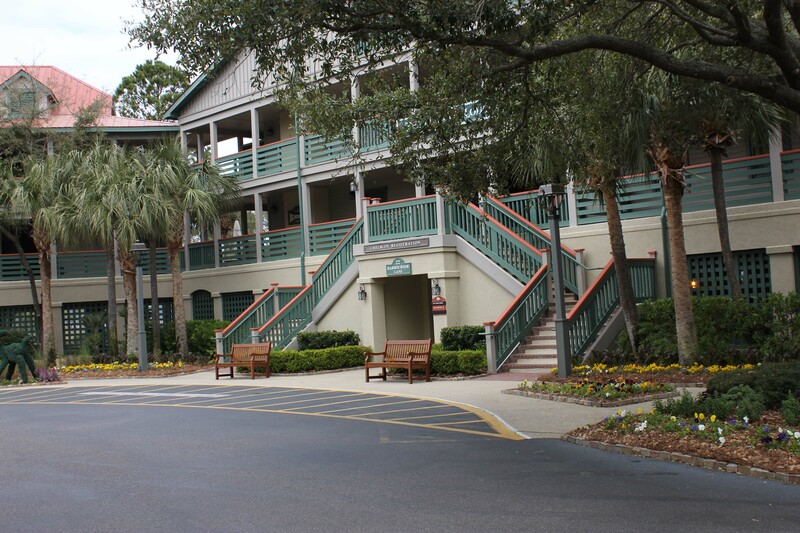 So this year we decided to try one night at Hilton Head anyway just to see what it would be like and here is our experience... Like I stated before I have a certain expectation when I stay at a Disney resort hotel. I have yet to have a bad experience that has reduced my high level expectations. Of course there are more expensive hotels that offer an even higher level of pampering, but with Disney I find the experience to be one that is unique to the Disney brand. Add to this the Disney Vacation Club properties that make me feel at home when I am away from home. I have never felt like I was staying at a timeshare (Disney does not refer to their DVC program as a timeshare as it is more of a prepaid vacation program). Disney is not trying to get you to attend another sales presentation under the guise of getting a parking pass for your car - anyone who has stayed at other timeshare properties can attest to that unpleasant experience. So for my family we find a stay at a Disney DVC property to be an amazing welcoming experience with the staff going out of their way to make our stay magical. Disney using the magical term excessively, however with good reason the experience is magical - why else would we drive 28 hours to vacation at Walt Disney World. 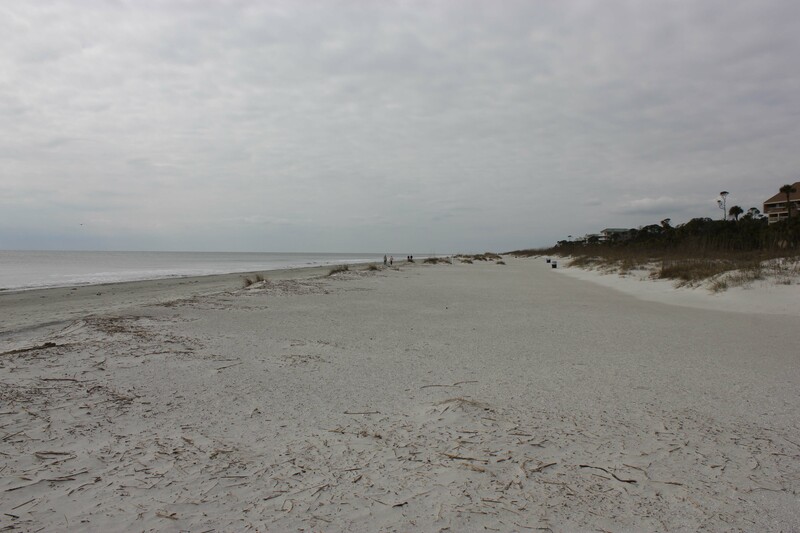 Driving through the Hilton Head area is a very pleasant experience, a great deal of development is happening with many upscale homes and lots of shopping. 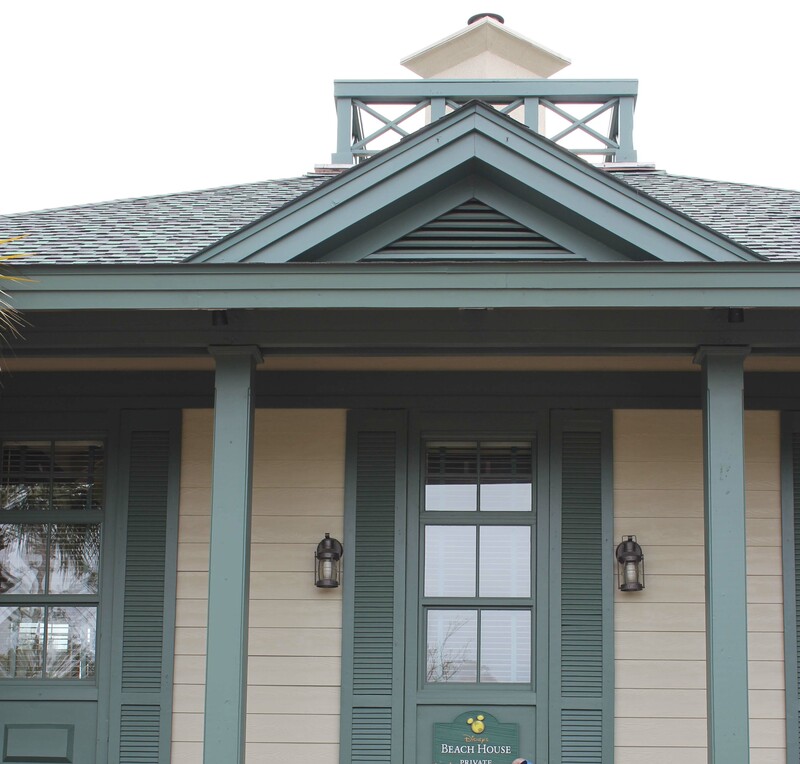 Disney's Hilton Head Resort is located on an Island on Hilton Head Island, so you really get the exclusivity feeling that this resort provides with no direct neighbours up against the Disney property. Once you reach the entrance to the resort you will cross a bridge exclusive to the Disney property. Also different than the Disney onsite resorts, there is no security guard at the gate. When we arrived we had to buzz in, and a cast member asked for our name and then welcomed us home. When we stopped in front of the main building (Live Oak Lodge) and starting walking to the registration desk, a cast member came out on the balcony and starting waving to our family with the big Mickey Mouse white glove singing out welcome Neil family! Our children were thrilled to receive such a warm welcome and the friendliness and welcoming continued through our check in process. The Cast Member was exceptionally courteous and provided lots of suggestions and guidance to make the most out of our one night stay. Most hotels that I have stayed at rarely, if ever, offered any type of suggestions when we were staying for only one night. For Disney this obviously does not matter, as what matters is that you feel right at home and are treated like a very special guest. While this resort is not located on the beach, it does have a beach house. 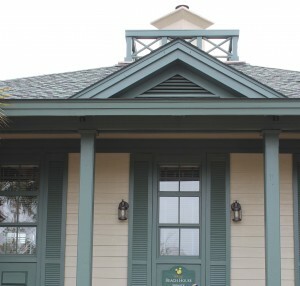 Disney provides complimentary transportation to the beach house throughout the day or you can walk, bike or drive to it. The Beach house has a pool, arcade, small quick service that operates seasonally and a very nice sitting area with large screen flat screen TV. It also has private access to the beach and even though there are buildings around the beach house, it feels very secluded and blends in to the landscape from the beach. We do like to shop so having a Tanger Factory outlet just a few minute drive from the resort was a huge bonus. 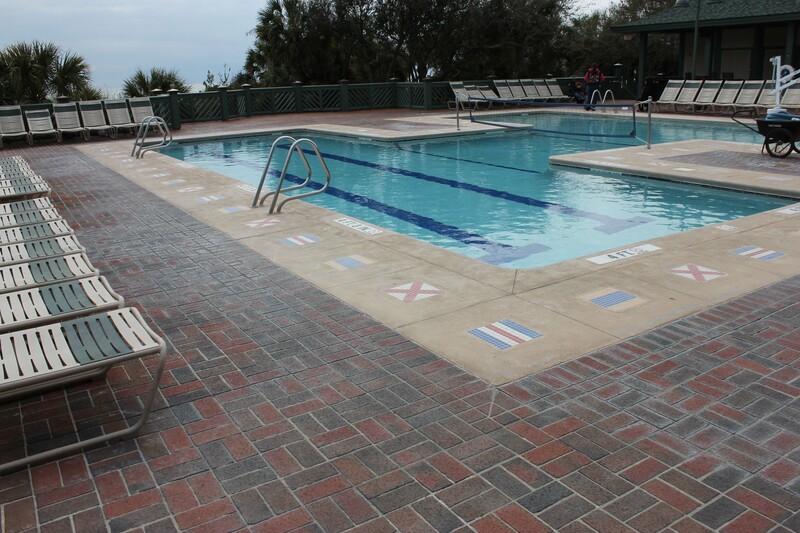 The hotel offers a variety of activities from games like shuffle board, horseshoes, table tennis, pool, hot tub, water slide, nightly movies, fishing, biking, basketball and more! Check out our photo gallery of this resort for more photos of the various areas around the resort. http://mywdwguide.com/?p=739 Before checking out of the resort and heading on our way to Walt Disney World, we decided to have a Disney breakfast from Tide Me Over quick service at the resort. Let's just say that even though this Disney property is located offsite, the meal prices match those on site - know what I mean! However I bought the breakfast knowing the prices and let's just say it was worth every penny. We picked up the meal and returned to our room and all 5 of us sat around the table and enjoyed the first night of our vacation. You know there is one thing that this resort made me realize, and that is how much I enjoy spending time with my wife and three daughters. This resort now has a special space in my heart that no other Disney resort has, because it was really a priceless day and evening with my family. We have had many great family experiences at Walt Disney World and other vacations, but a resort that provides the Disney magic, yet allows the family to connect without a great deal of theme park entertainment was just what we needed. In fact we enjoyed this resort and the surrounding area so much, we plan on spending 2 weeks at this resort in the next few years. 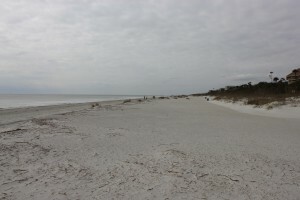 I do have one regret from my family's stay at Disney's Hilton Head Resort and that is I wish we could have stayed for a week. It was very relaxing and a great time to be a family and just have fun together enjoying the outdoors and simple family things like swimming when it is only 15 degree Celsius or having my three little girls try to flip me out of the hammock. Those priceless moments and laughter make me wish I was there right now!